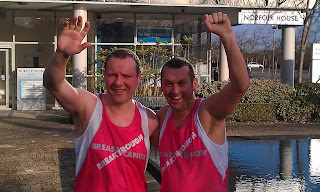 Rob Scott and Giles Phillips of Aaron Wallis are running the London Marathon on the 17th April 2011 in aid of Breakthrough Breast Cancer and any money that you can spare to donate will seriously help to ensure that they cross the finish line. Both Rob and Giles have been training hard since December and have completed countless training runs, half marathons, 17 and 22 milers in preparation. Why ‘Breakthrough’? Giles’ wife Sarah was diagnosed with triple negative breast cancer three years ago and her treatment would not have been as successful if it had not been for all the pioneering research that has been undertaken by Breakthrough Breast Cancer. Please Sponsor! Anything that you can donate will help to spur Rob and Giles through those dark places at around 23 miles and will be doing tremendous work to help rid the planet of the horror of breast cancer, a disease that impacts upon the lives of 1 in every 8 women in the UK (Unbelievably 130 women in the UK every single day are diagnosed with breast cancer).Thanks in advance for your generosity and they will periodically update you all on their progress and will provide every sponsor with an overview of the 'big day' and how they do. 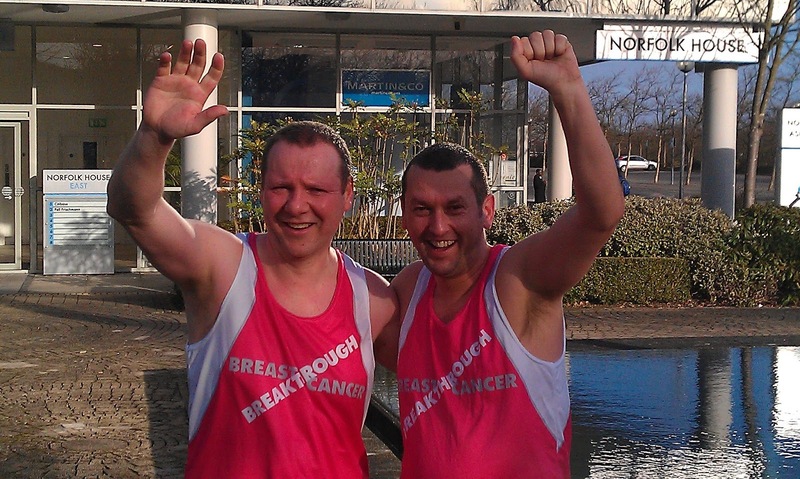 Despite running many ‘halfs’ in his time it was never on Rob’s ‘bucket list’ to run a full marathon but his pal and colleague Giles wanted to run the London Marathon in aid of Breakthrough Breast Cancer. As Rob has always been known as Rob Scott - you know him, bit of a geek, talks a lot, nice bloke, short dark hair, tall and thin with a MASSIVE 'beer belly'! So, he thought here was the chance to finally get back into his 34 inch waist trousers and lose the beer belly tag once and for all! Unbelievably Rob got into the London Marathon ‘on the ballot’ which means that every single penny raised will be going directly to charity.